Tamaño de esta previsualización: 800 × 597 píxeles. Otras resoluciones: 320 × 239 píxeles · 640 × 477 píxeles · 1024 × 764 píxeles · 1341 × 1000 píxeles. 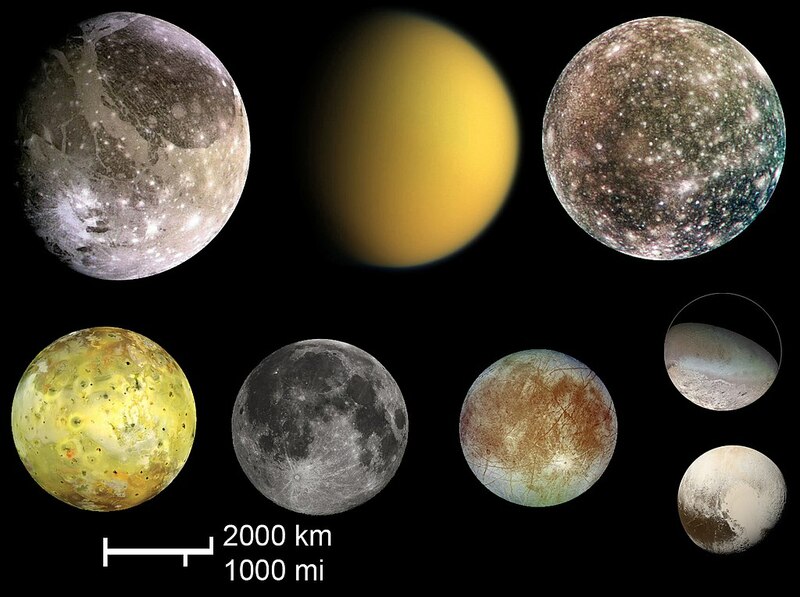 Pluto's size compared with the largest moons. Composition of NASA images by Eurocommuter. Io (Jupiter), Moon (Earth), Europa (Jupiter), Triton (Neptune) and Pluto. 17:52 29 abr 2010 680 × 507 (83 KB) Jynto Replacing pluto with a free image. 17:37 16 mar 2006 654 × 507 (51 KB) Eurocommuter~commonswiki Pluto compared with the largests moons.